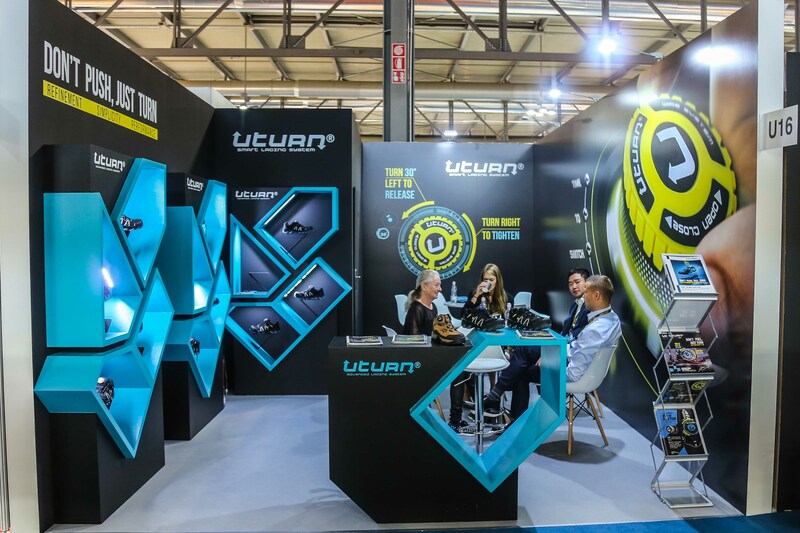 UTURN, our revolutionary new easy lacing system, was the focus of attention at the recent Lineapelle trade fair in Milan. 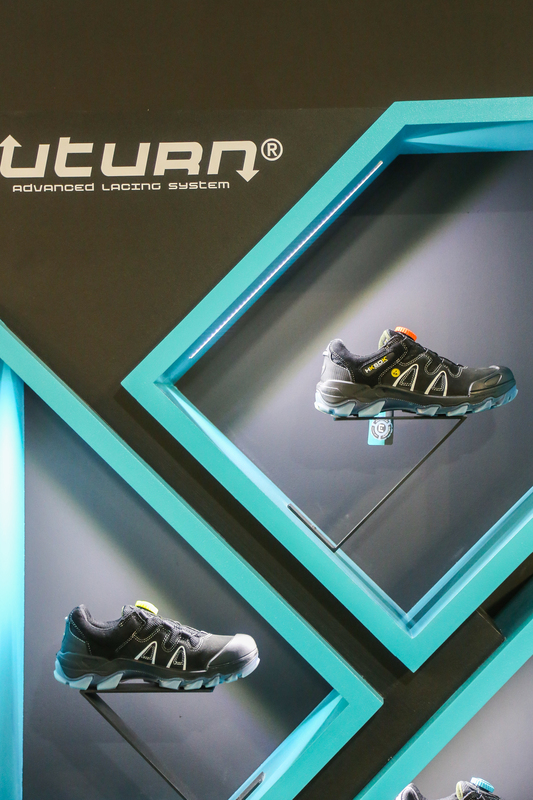 All the new shoe, bag and accessory components were on show there and UTURN’s stand with its patented lacing system saw lots of visitors. 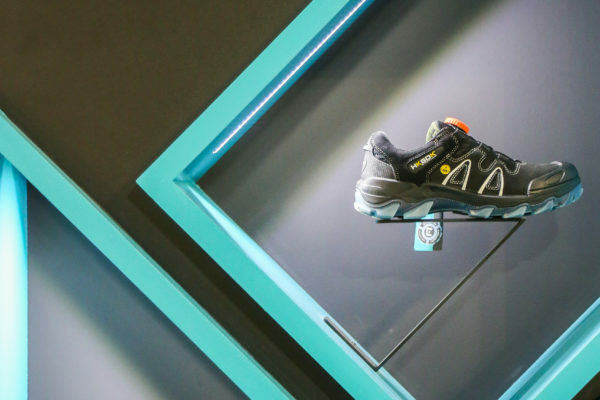 Our easy turn system was there; fitted on Danish designed safety footwear, just to show how it functions. But it wasn’t just safety shoemakers who came to look. There was massive interest in the system from all sorts of companies. Naturally outdoors, technical and winter sports companies wanted to know more. Non-footwear companies like rucksack makers, for example, wanted to learn about it too. Interestingly was the amount of interest shown by a major men’s fashion shoe brand from the USA. A top Parisian couture company (we can’t say who right now!) wanted to know more too – no doubt because of the “dad trainer” trend for big sporty inspired shoes on heavy looking soles. 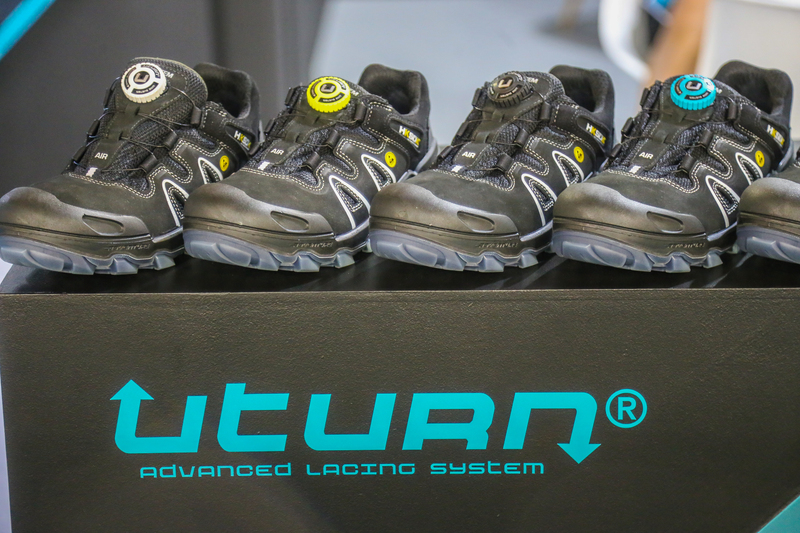 UTURN’s lacing system is simple and easy; strong steel wires replace the laces, which are tightened with a dial. 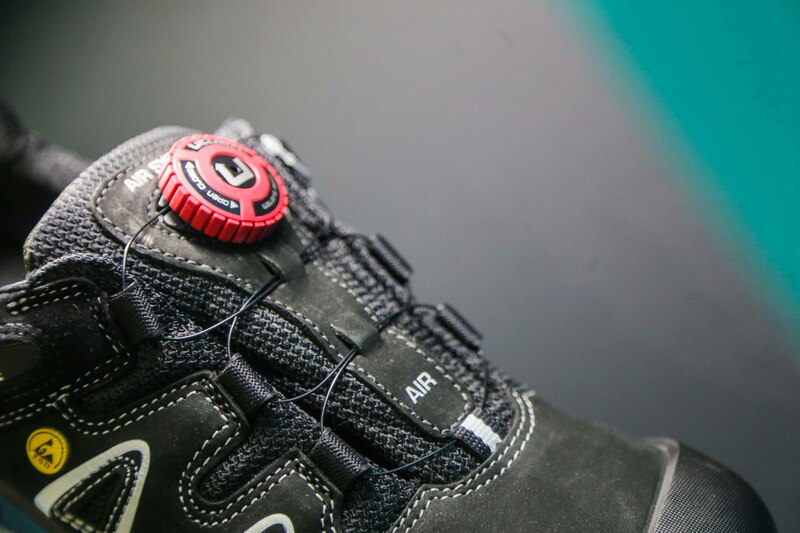 What’s revolutionary about the patented system is that the laces are so easy to release too, with under a quarter turn of the easy grip dial. This makes UTURN different from other systems which rely on the dial being lifted to release, with a risk of grit, dirt and foreign objects getting stuck underneath and either blocking or damaging the system. The CEO of the company, Michal Zbierajewski, explains why he loves the simple UTURN system. 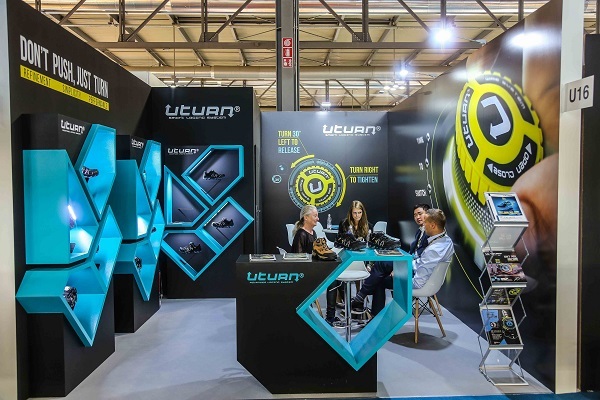 UTURN Invention systems is a partnership between Danish European Tech Group A/S and Shin Kyung Inc. The entire Uturn team was on the Lineapelle booth with samples of the system in parts and assembled, as well as videos, to explain how easy it is to install and operate.